The Seven Years’ War, often called the first global war, spanned North America, the West Indies, Europe, and India. In these locations diseases such as scurvy, smallpox, and yellow fever killed far more than combat did, stretching the resources of European states. 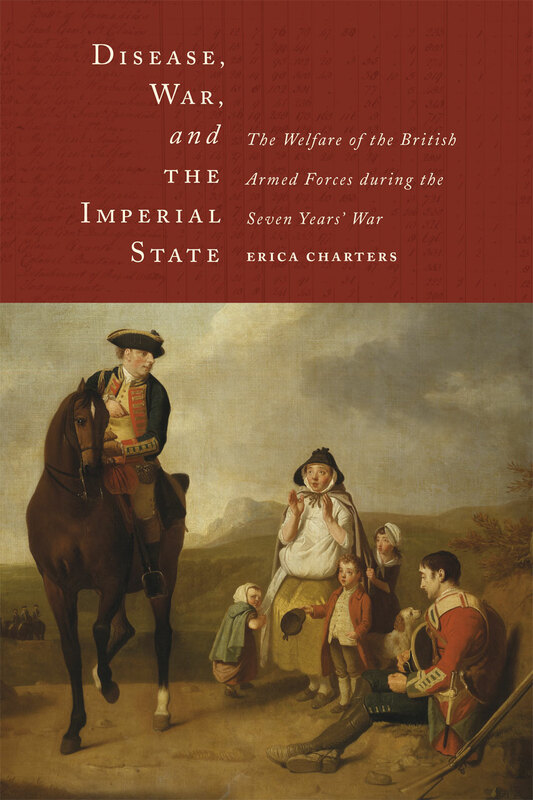 In Disease, War, and the Imperial State, Erica Charters demonstrates how disease played a vital role in shaping strategy and campaigning, British state policy, and imperial relations during the Seven Years’ War. Military medicine was a crucial component of the British war effort; it was central to both eighteenth-century scientific innovation and the moral authority of the British state. Looking beyond the traditional focus of the British state as a fiscal war-making machine, Charters uncovers an imperial state conspicuously attending to the welfare of its armed forces, investing in medical research, and responding to local public opinion. Charters shows military medicine to be a credible scientific endeavor that was similarly responsive to local conditions and demands. Disease, War, and the Imperial State is an engaging study of early modern warfare and statecraft, one focused on the endless and laborious task of managing manpower in the face of virulent disease in the field, political opposition at home, and the clamor of public opinion in both Britain and its colonies.